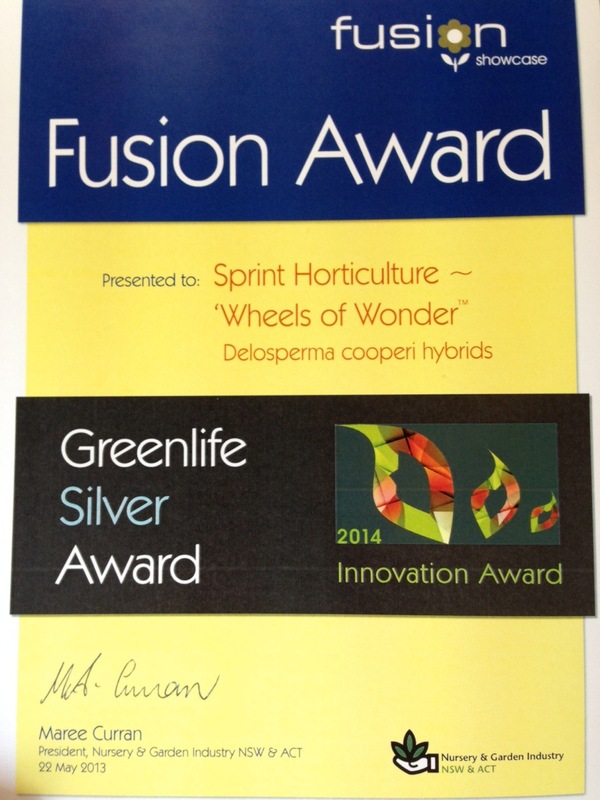 We won a Silver Award for the Wheels of Wonder at GES – Green Expo Sydney. 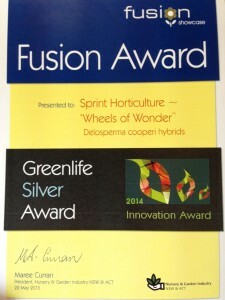 Alternanthera porrigens ¨sennichilosuzu NEW¨ wins prize at Floriade 2012!! Garnet and Ruby of “Jewel of Desert” (Delosperma) have won first prizes at Plantarium 2012! “Jewel of Desert Ruby” (Delosperma) won best flower award and new value award at the Japan Flower Selection(JFS) in 2010. The Japan Flower Selection (JFS) In 2008, our Calendula MADOKA CHEESE-TORTE won the highest award in this “Japan Flower Selection” (JFS). In addition, MADOKA ALMOND-MILK won in 2008 a breeding special award and excellent award.